It occurs to me that I don't know where ninjas came from. I mean, I know a little bit about where actual ninjas came from historically, but I don't know what really sparked the media-wide ninja craze of the 1980s. Was in the Ninja Turtles? It couldn't have been them, as there were numerous ninja films that preceded them. Indeed, I recently learned that there were ninja movies in Japan as early as 1955. So they were kind of floating around the collective unconscious for decades, lying in wait like, well, ninjas, waiting for the right moment to strike. I think we have Menahem Golan – one of the moguls behind The Cannon Group – to thank for my generation's familiarity with ninjas. It was in 1981 that Golan produced Enter the Ninja, which is, as far as my limited understanding takes me, the point of origin for the entire decade-long ninja craze. Ninjas were movie badasses, hidden assassins, and ancillary bad guys for so many years, and they all sprang from a common ancestor. Menahem Golan currently lives in Tel Aviv, and is about to celebrate his 84th birthday. 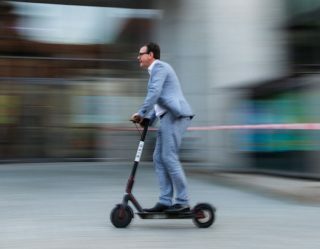 If I am lucky enough to land an interview with him, I will be sure to grill him extensively about why he though ninjas would be brought into being. This is all important stuff to ponder as I round the corner into the final two chapters in the five-part American Ninja series, as examined by The Series Project, ever stalwart in its examination of every sequel ever made. 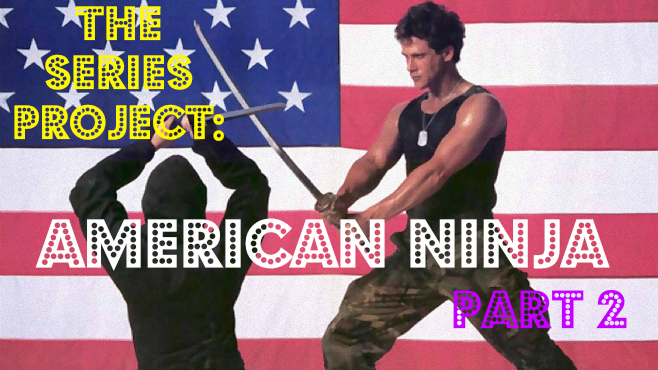 In last week's article, we discovered the stoic charms of Michael Dudikoff, met a secondary American Ninja, and unearthed a rare B-movies gem in the form of American Ninja 2: The Confrontation. Also Marjoe Gortner was mixed up in there somewhere. 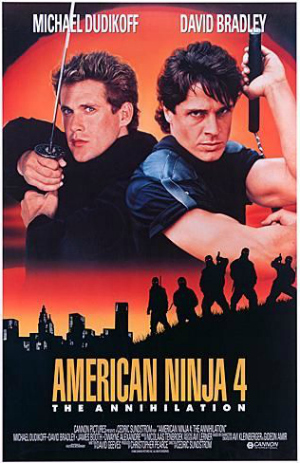 The first two American Ninja films starred Michael Dudikoff as Joe Armstrong, an amnesiac with ninja training who worked for the American Armed Forces. In American Ninja 3, Dudikoff was replaced by the Jeff Fahey-looking David Bradley, playing Sean Davidson, and equally capable American Ninja, but with no real back story that I can recall, despite having just seen the flick a few days ago. American Ninja 4 was, I think, an attempt to bring the series to a close by putting our two Ninjas in one film together. Can your mind stand the excitement? Crossovers rock. Only the promise of watching the two American Ninjas fight side-by-side will be delayed until the final 10 minutes of the film. Up until then, The Annihilation is essentially two 45-minute films, each with its own American Ninja, stitched together in the middle. It almost plays like a two-part American Ninja TV special, betrayed only by its relatively sophisticated filmmaking quality, and the presence of Michael Dudikoff, who, I still declare, classes up a B-movie. It also contains some pleasantly bonkers stuff that will keep you smiling almost as much as American Ninja 2. The plot: An evil Central American dictator (and each of these films has an evil Central American dictator) has developed a nuclear bomb the size of a suitcase. The dictator is in league with a rich plutocrat (and these movies always have a secret league with a rich plutocrat) named Mulgrew who intends to use the bomb for something-or-other. At the film's outset, Sean Davidson (David Bradley) is called away from his best friend's wedding to stop the bad guy immediately. 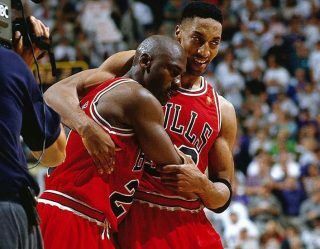 His best friend leaves his bride standing at the alter. The two of them seek out Mulgrew, and learn he has an army of ninjas (and there are always armies of ninjas), and they are soon kidnapped and held hostage by Mulgrew. There's only one man who can save them. 45 minutes into the movie, Michael Dudikoff appears as Joe Armstrong, now living peacefully as a member of the Peace Corps. Joe is asked by the army to infiltrate Mulgrew's compound, free Sean Davidson, and stop the bomb from going off. 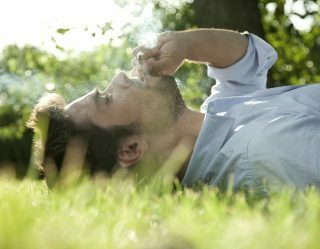 “I told you that last time was the last time,” he gravely intones. Joe's trek takes him deep into the jungles of Sandanista-stan, or whatever country it's supposed to be (the country is rarely named, and if it is, it's never real). There, he meets an army of leather-wearing, fancy car-driving post-apocalypse warriors straight out of Mad Max. It's about here that your skull will begin to cave in through the sheer outlandish delight of it all. There is also a super ninja floating around the margins, credited as “Super Ninja,” and played by Kely McClung. Joe will fight the Super Ninja, free Sean from being burned at the stake (and the actual execution is quite a ritual), all with the help of his post-apocalypse warrior friends. Sean will fight Mulgrew. A helicopter will be blown up. For brief flashes, you may get the impression that American Ninja 4 is several screenplays randomly jumbled together, and then “cleaned up” but a hyperactive intern. This happens: A ninja fires a crossbow at Joe while he's strangling a foe. With his hands busy, Joe manages to catch the crossbow bolt in his teeth. He then whips his head around sideways, stabbing an attacker in the neck with it. That is one of the most awesome things I have ever seen. 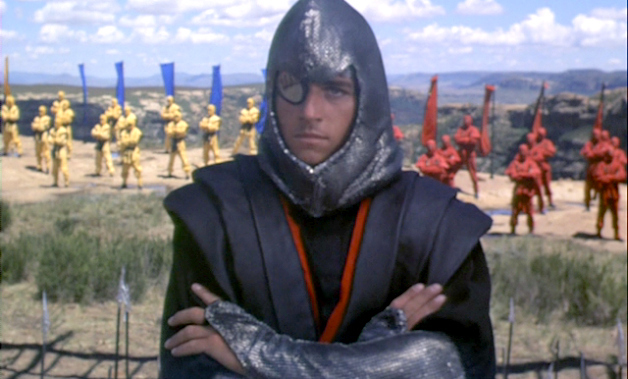 American Ninja 4 is a lot stupider than any of its predecessors, but it's also a lot better than at least two of them. 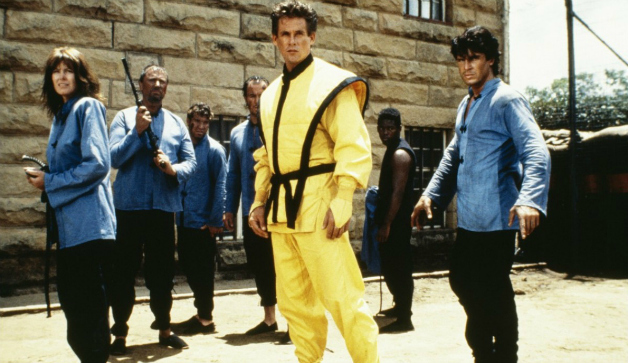 There is a lot of visual variety, a lot of excellent fighting (Dudikoff and Bradley are both pretty excellent stunt fighters), and, of course, scads of ninjas. It doesn't quite have the odd surprises anymore – we kind of know what we're in for with a Cannon film – but its pleasures cannot be denied.